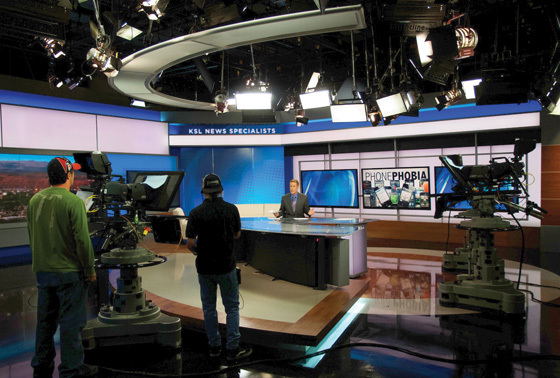 With the help of Broadcast Design International, KSL-TV recently debuted a sleek set in Salt Lake City. The new environment has the feel of a network newscast, something KSL-TV was aiming for in the change. 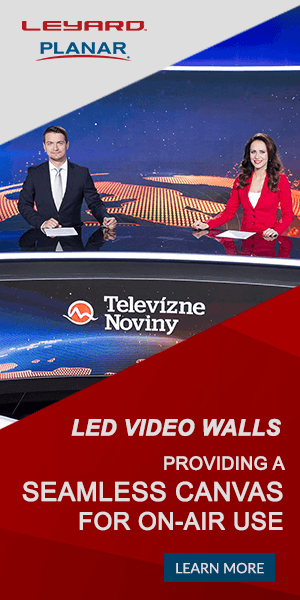 The set includes 75 low resolution LED panels, a 3×3 60″ plasma array and two 42″ displays on the desk. An interview area is located to camera right, with a plush couch and multiple presentation points. Besides the immersive backdrop, the other key feature is the desk. 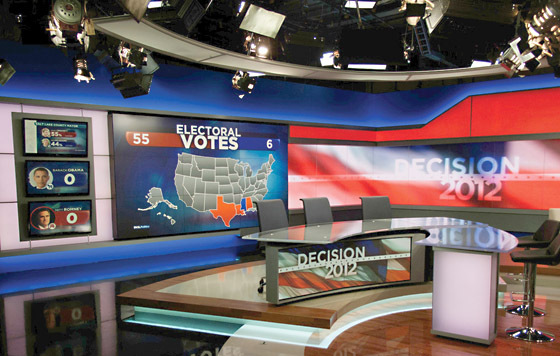 Built as V, the desk can easily seat 5 anchors and reporters, making it great for interviews. The setup is similar to MSNBC Studio 3K. 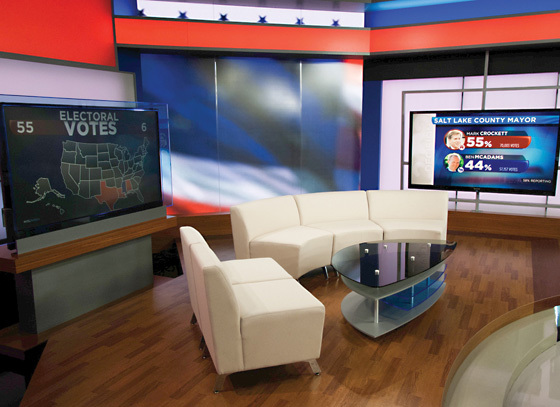 The layout allows the desk to have multiple backgrounds, adding variety to different broadcasts. The design moves the industry forward, towards a Euro set design approach, emphasizing less is more. This set shows duratrans can be a thing of the past, with backgrounds that can change based on the show and topic. Mixing metal, glass and wood, this set is a sleek addition to Salt Lake City and a contender for local set of the year. A full gallery can be found in SetStudio.